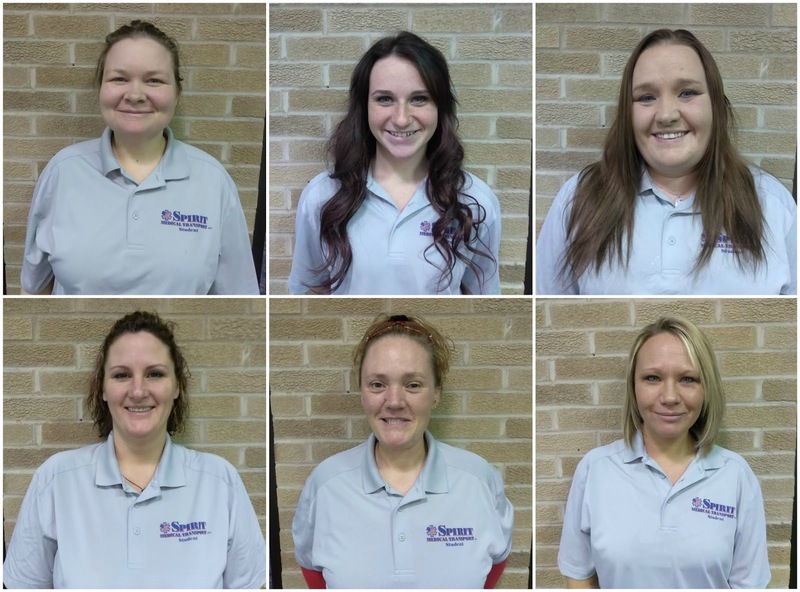 GREENVILLE- Spirit Medical Transport, LLC, is pleased to announce it has awarded nine EMT scholarships to individuals living in the western Ohio and Indiana region. Among those awarded scholarships were Elizabeth Allen of Rossburg; Jamee Blankenship of New Madison; Jessica Garrett of Greenville; Misty Howell of New Madison; Kristen Lindsey of Arcanum; Cassandra Martinez of Van Wert; Stephanie Pascal of Union City, IN; Tyler Pratt of Urbana; and Ericka Slezak of Kettering. Citing a lack of well-qualified EMT’s available in the area, last August Spirit began awarding scholarships to qualifying individuals. In November, 14 EMT’s graduated from the company’s first-ever sponsored EMT class. In late November, the business began accepting applications for classes that started in late January. Brian K. Hathaway, President/CEO of Spirit Medical Transport, LLC, is pleased with the quality of applicants applying for the scholarships. The final selection process includes evaluation of professional standards including dependability, responsibility, and exceptional customer service skills. “As partners in healthcare with other local hospitals and nursing facilities, we are vested in selecting people who have the drive and compassion to serve the ill and injured,” explained Vice President Aaron L. Guthrie. The nine students selected in this last round of scholarships are in class five days a week. Aside from eight weeks of classroom instruction, the students will also do a clinical rotation on the Spirit ambulances, as well as in the emergency rooms at either Wayne HealthCare in Greenville or Van Wert County Hospital in Van Wert. The class is a cooperative effort between Four County Career Center and Spirit Medical Transport, LLC, with instructors from the school’s adult vocational program and employees of Spirit Medical Transport, LLC, who are certified EMS instructors helping teach the classes. The primary lead instructor includes Paramedic Mike Woodford of Greenville. The class syllabus also includes several “extra” learning experiences together with the opportunity to attend a cadaver lab at the University of Toledo Medical School; a day focused on how to excel at customer service as an EMT; and a basic emergency vehicle operations course focused on emergency and non-emergency driving habits. Joe VanVickle of the Darke County Coroner’s Office and Chief Mark Whittaker of the Darke County Sheriff’s Office are also providing a series of lectures. If all goes according to plan, all nine EMT students will be fully trained and functioning as certified EMT’s by mid-April. Business officials report they are so please with the outcome of the classes, they are currently accepting another round of scholarship applications through March 16, 2018, for classes that will start in early April. The program is not only designed to help the local business grow, it was also created to give back to local community-based providers as well.